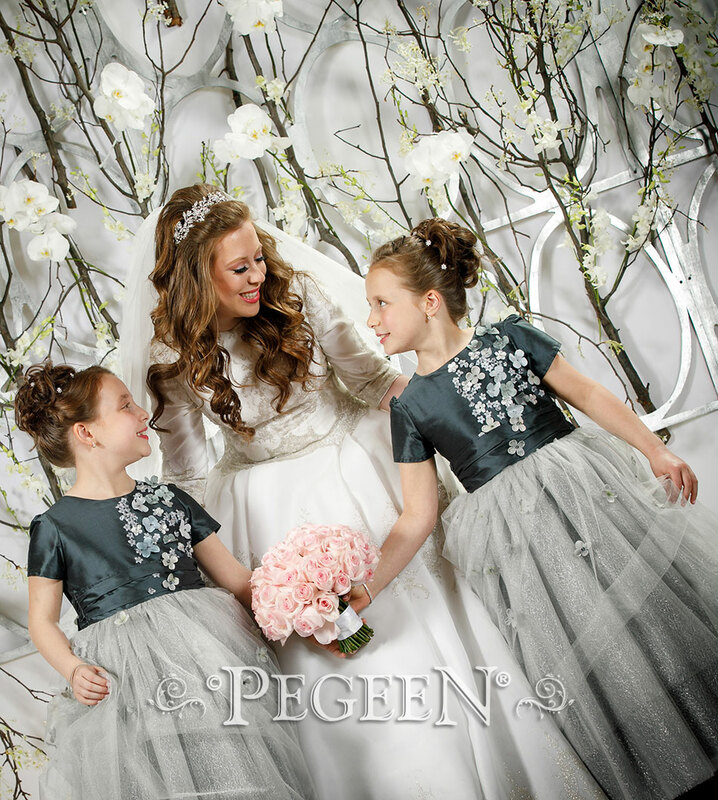 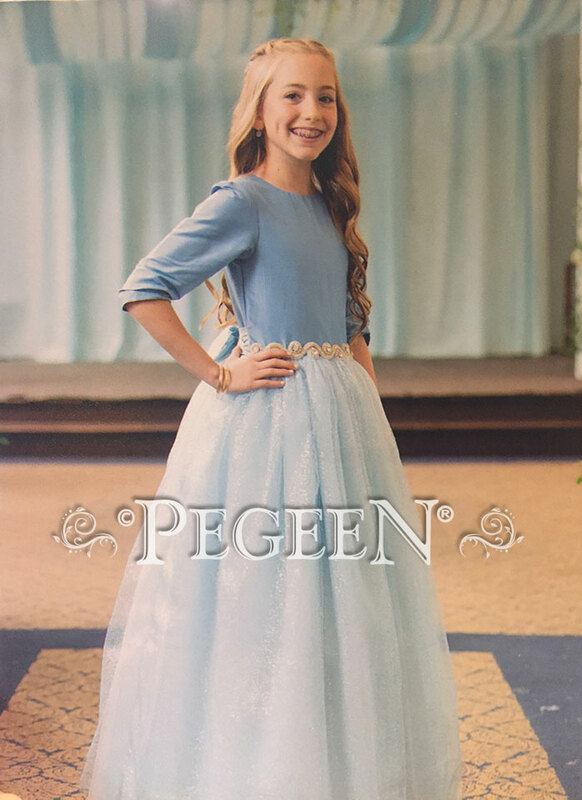 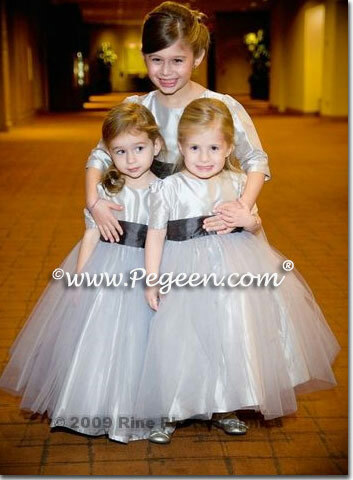 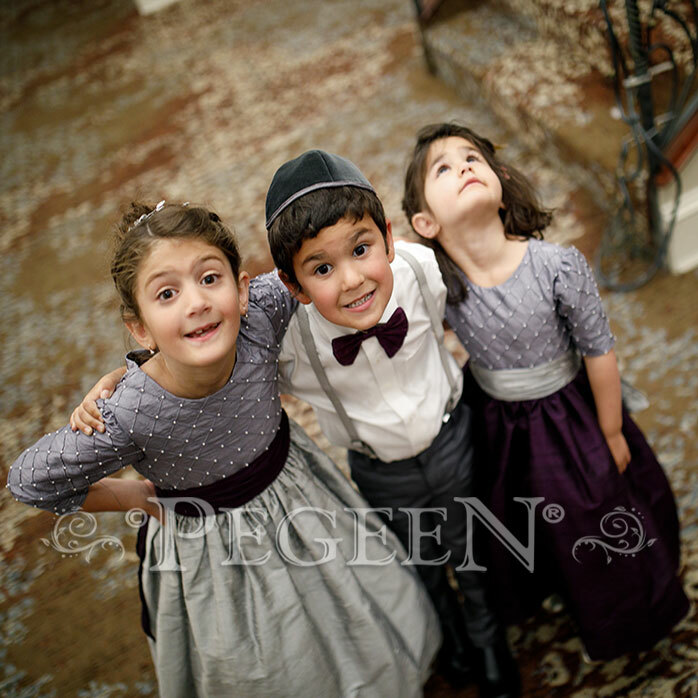 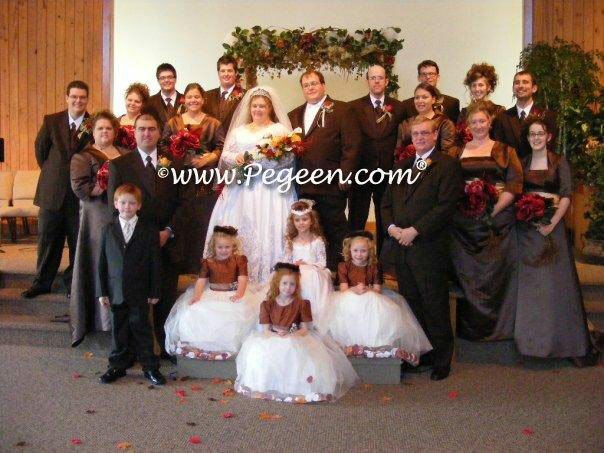 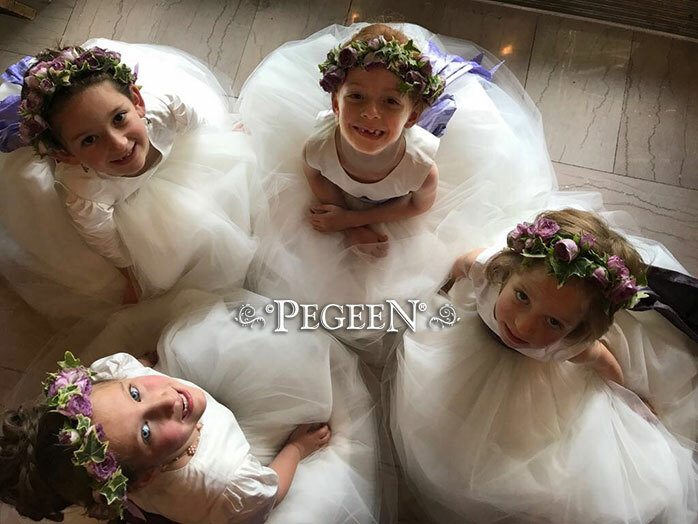 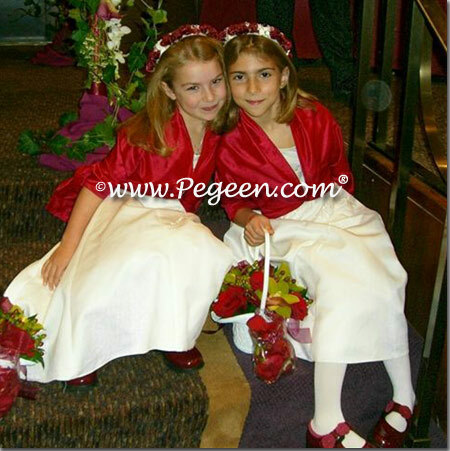 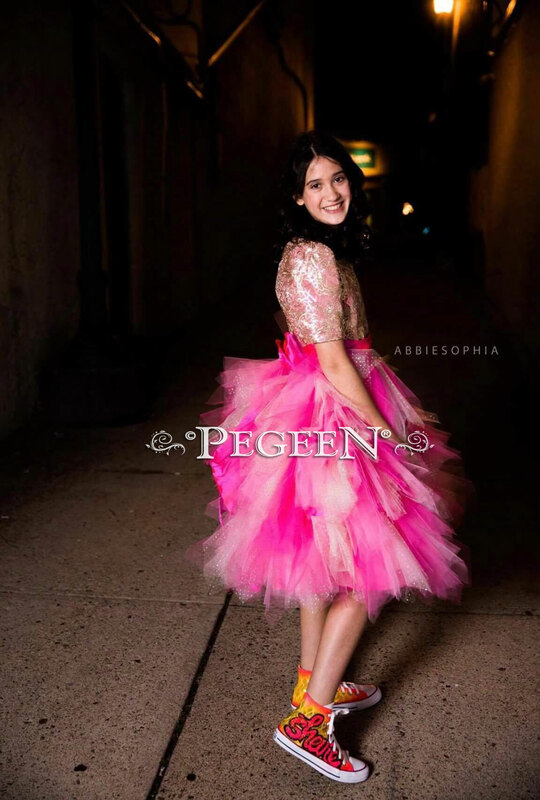 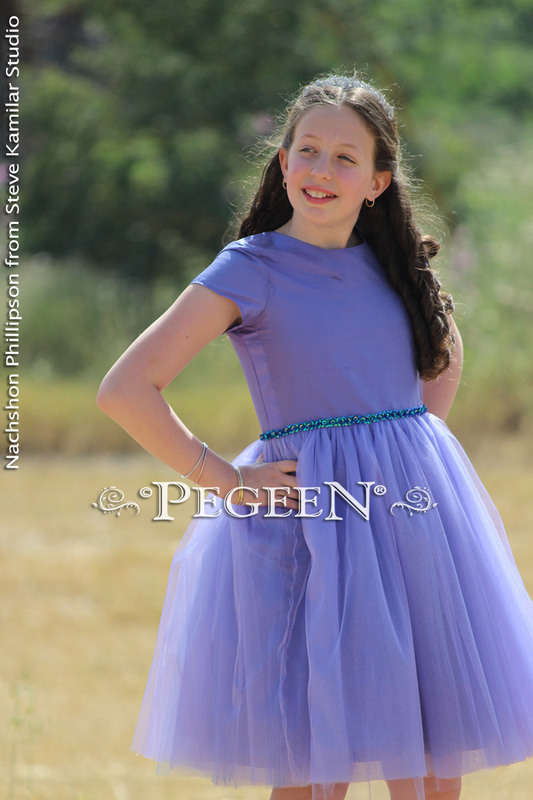 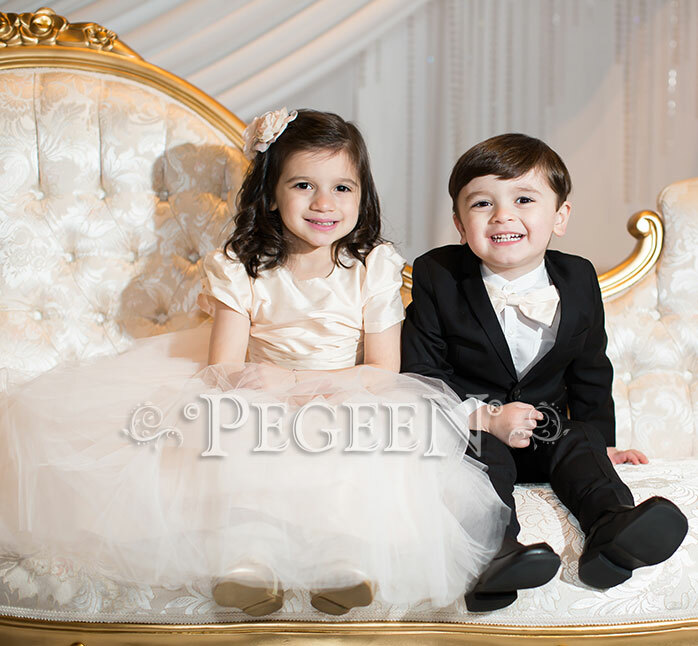 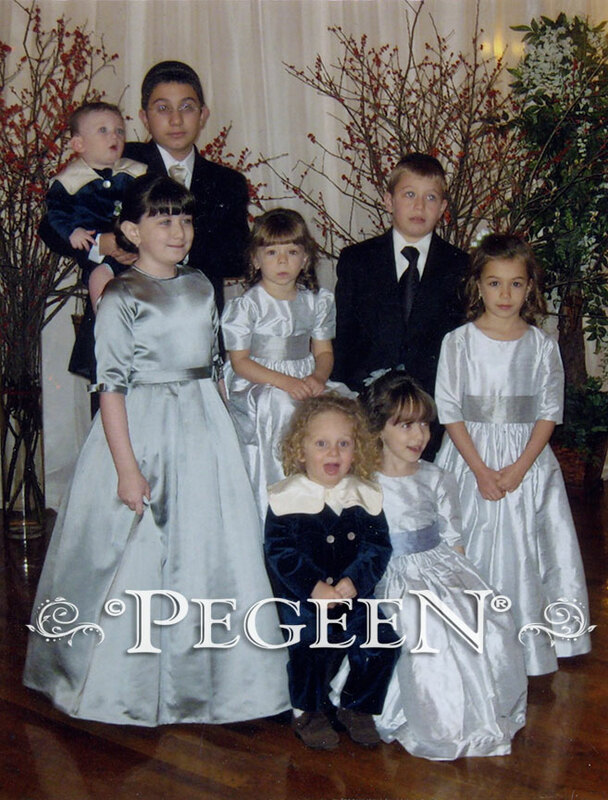 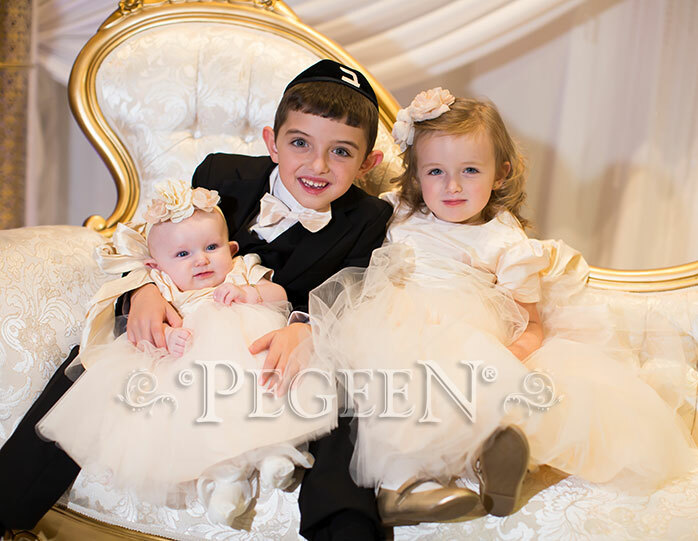 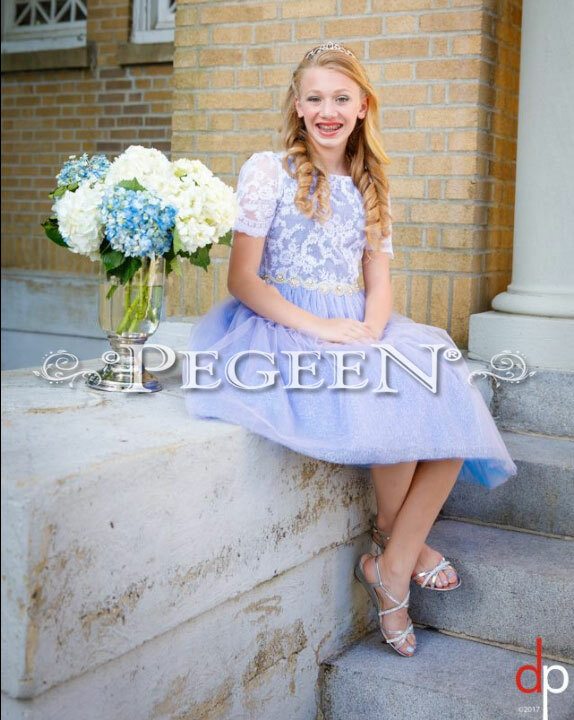 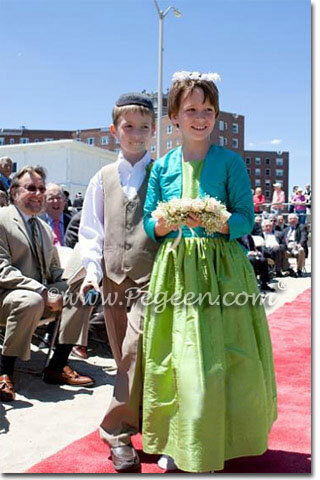 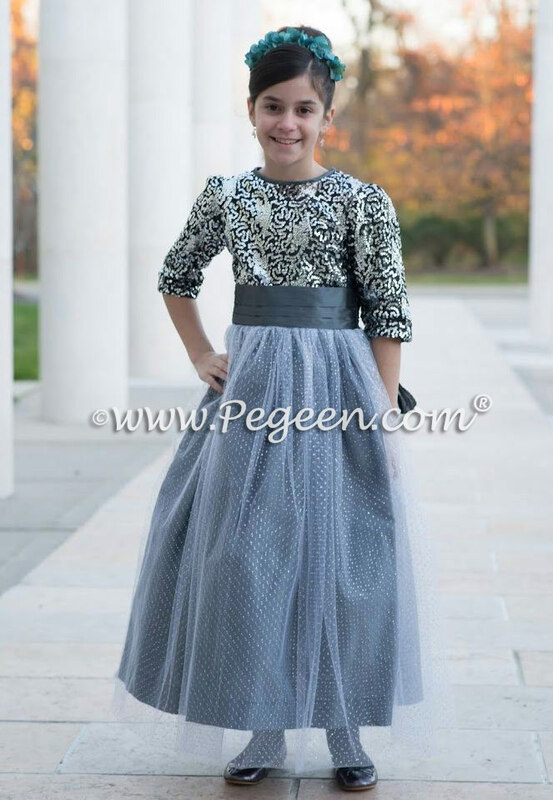 Pegeen is a Designer/Manufacturer made In the USA in our own factory which means you can customize your dress with long sleeves or 3/4 sleeves and high neck for Modest Weddings and make the top, sash, and skirt in the same color or up to 3 different colors! 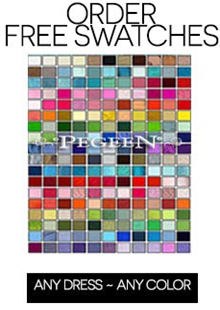 Make a unique look, just for your special occasion with over 100 styles in over 200 Silk Colors. 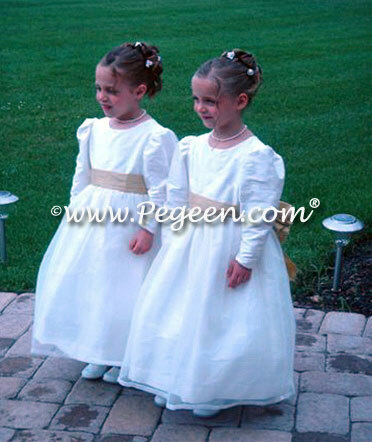 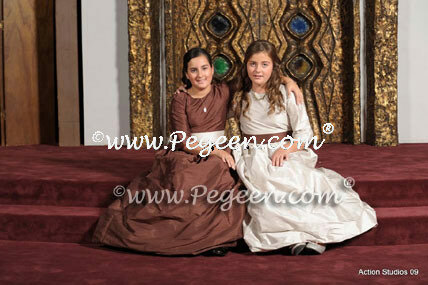 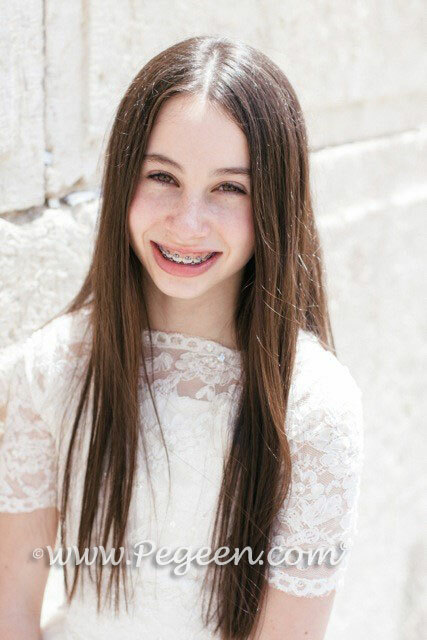 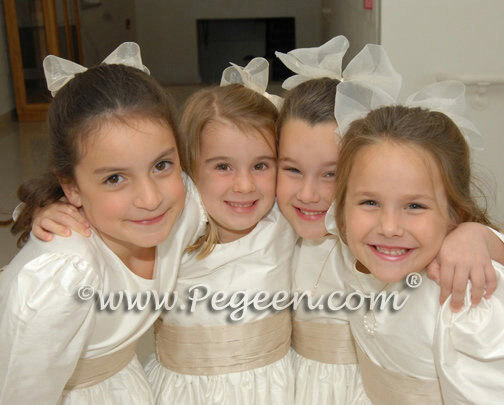 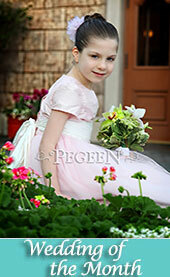 Since we make each dress individually just for you, we can make it exactly as you want it. 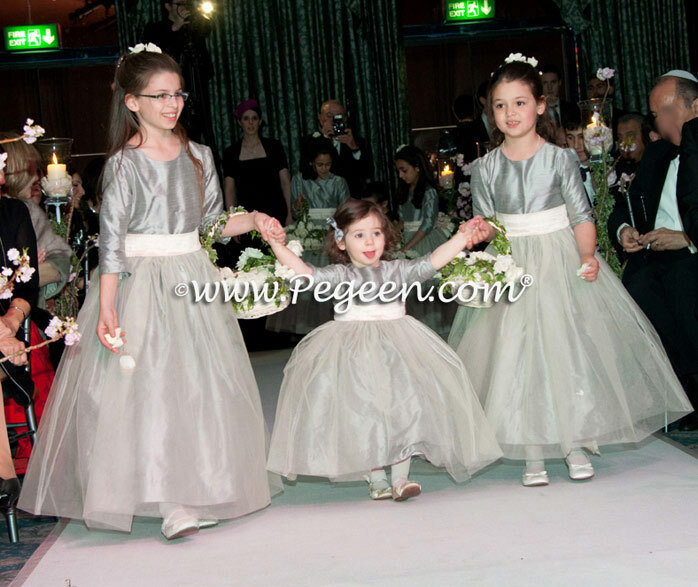 Bespoke, custom dresses at affordable prices! 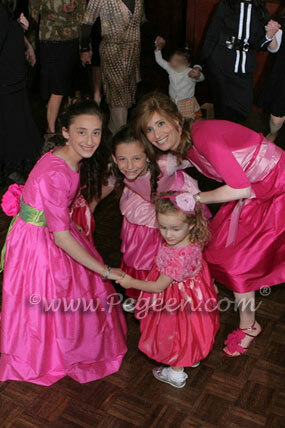 We've been doing it for 35 years, so rest assured, you will be pleased. 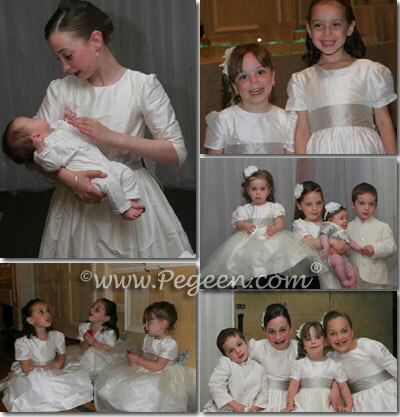 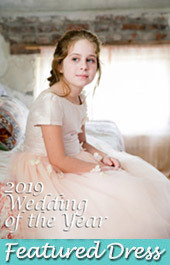 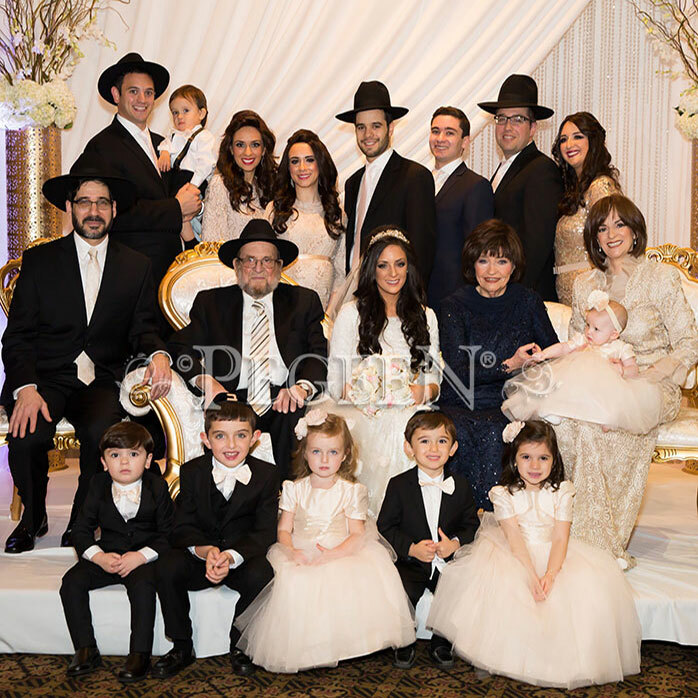 If you need longer sleeves or built up necklines for religious reasons, like Jewish Weddings or LDS, we decided to highlight some of of our bride's weddings! 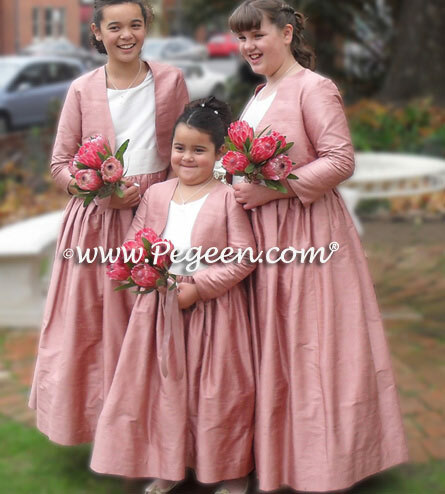 Long sleeves, 3/4 sleeves and high necks all have a small charge for the change. 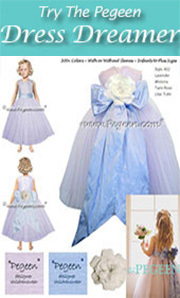 Please see options on the style pages.